If you've been keeping up at all with everything I've been doing in the store, you know I started working on a Halloween costume about a week ago. Once I saw this pattern I just knew that we had the perfect fabric and I could make this one work. 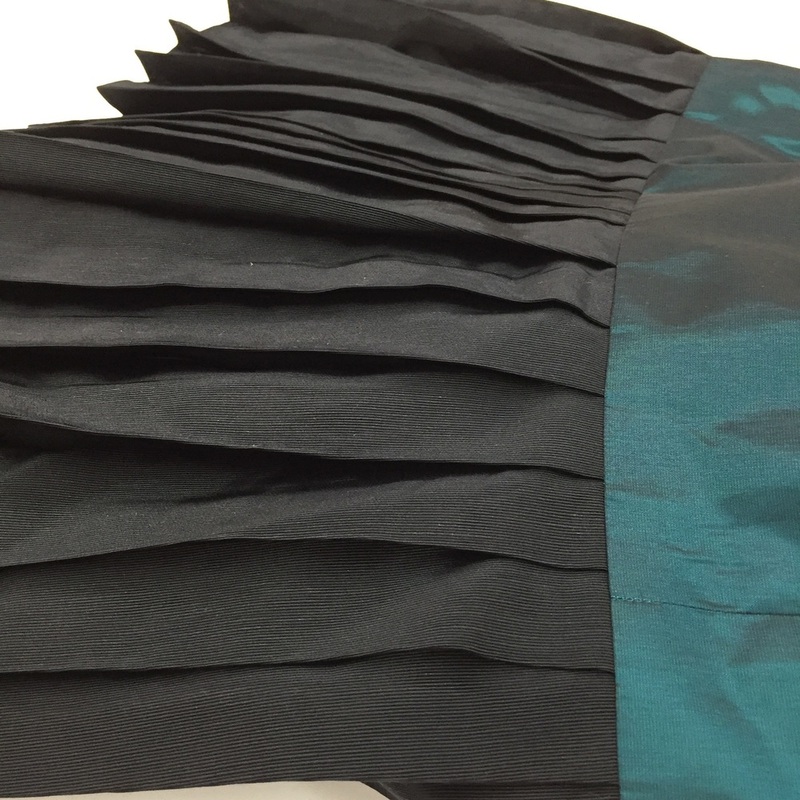 The first step was to make the skirt and do all that pleating. 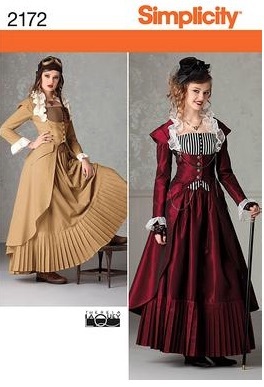 Oh the pleating.... It took all day but I got it done and I don't think it looks too bad!! 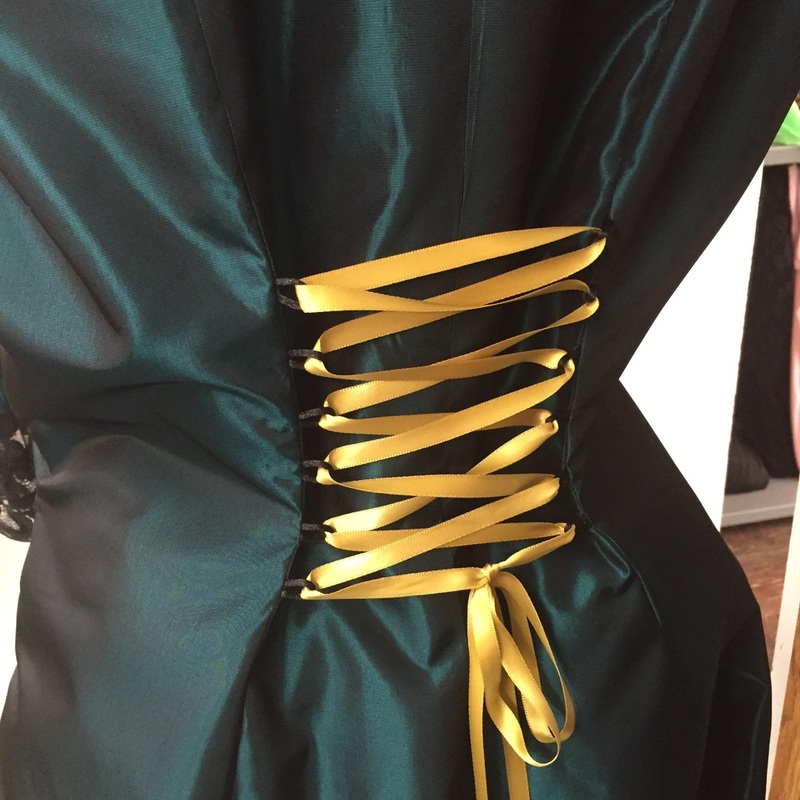 I decided to use a contrast ribbon for the lacing up the back of the jacket. Here you can see the pocket detail. A close up of the bottom of the sleeve where I decided to use lace instead of fabric. It was easier and really lent itself to more of a 'steampunk' feel. Doing all of my 'under stitching' where you sew the lining to the seam allowance to keep the lining from rolling out and poking out around the garment. This is a useful technique for all lined garments. 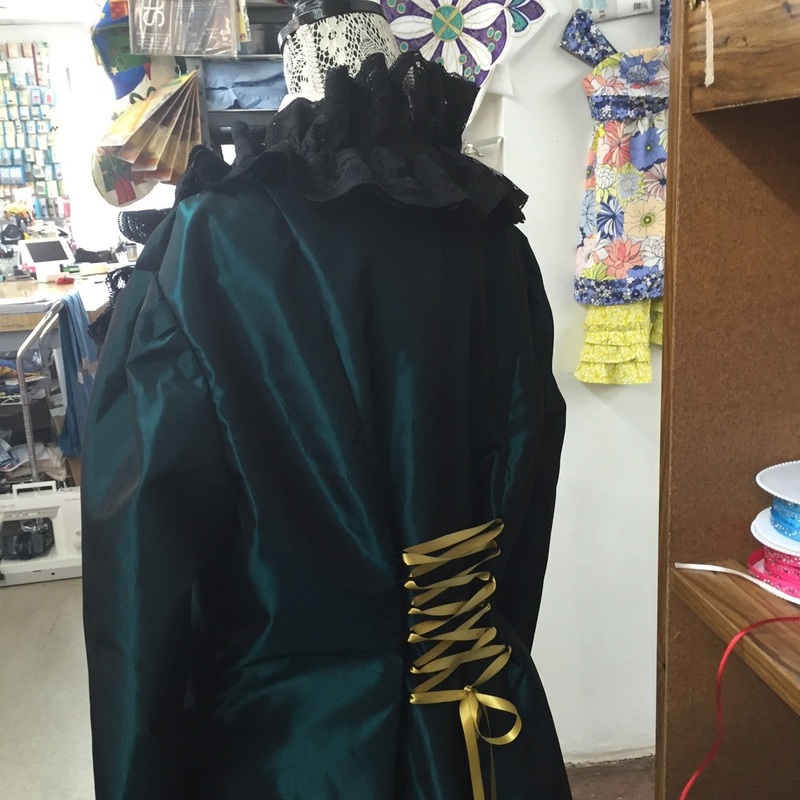 A view of the jacket and skirt together. Jacket, sleeve and skirt close up. I have also picked out the buttons I want to use. I'm a little nervous about the buttonholes but I will be sure to run plenty of practice ones before I take the jacket to the machine!! I have also picked out fabric for the bustier piece and have started construction on that. More pictures to follow! !